"Brackenlea Cottage" is a lovely holiday cottage in the village of Harbottle, which is on the eastern fringes of the Northumberland National Park. Sleeping 4 people, Brackenlea Cottage makes a nice location for a couple to base themselves and see some of the great outdoors. Brackenlea Cottage also makes for a nice family holiday. Brackenlea Cottage sleeps 4 people in 2 bedrooms, which are made up of 1 double bedroom and 1 twin bedroom. There is 1 bathroom at Brackenlea Cottage too. For those who have a dog as part of the family, you'll be pleased to hear that Brackenlea Cottage is pet friendly, which means you can all get out there and explore the Northumberland National Park together! Brackenlea Cottage has a TV, DVD player, and Wi-Fi included. With a cooker, microwave, fridge/freezer, washing machine and dish washer all available too. Brackenlea Cottage comes with central heating, and your bed linen and towels are included in the price of your holiday. There is parking at Brackenlea Cottage on the steet in front of the cottage. Around the area you can take part in some outdoor pursuits, with plenty of opportunity for walking and cycling. For those with a penchant for wildlife, there is a Nature Reserve on your doorstep. 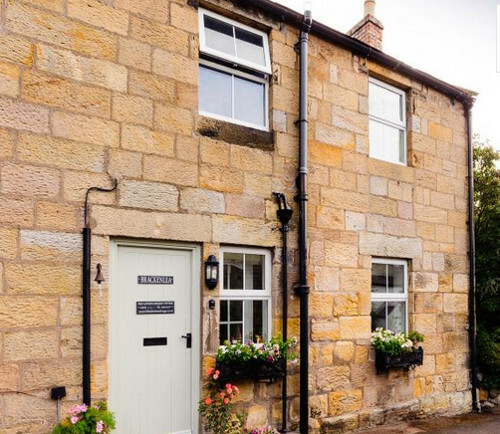 You'll also find Cragside, Alnwick Castle & Alnwick Garden, Kielder Water, Kielder Forest and Hadrians Wall all within a short drive of Brackenlea Cottage. Northumberland's heritage coast is a short drive away, and the perfect place for a bracing walk! Back at the cottage there is a pub a short walk from Brackenlea Cottage.